Check out Tobi's Harlow Transparent Satchel Show off your goods with the Harlow Black Transparent Satchel. 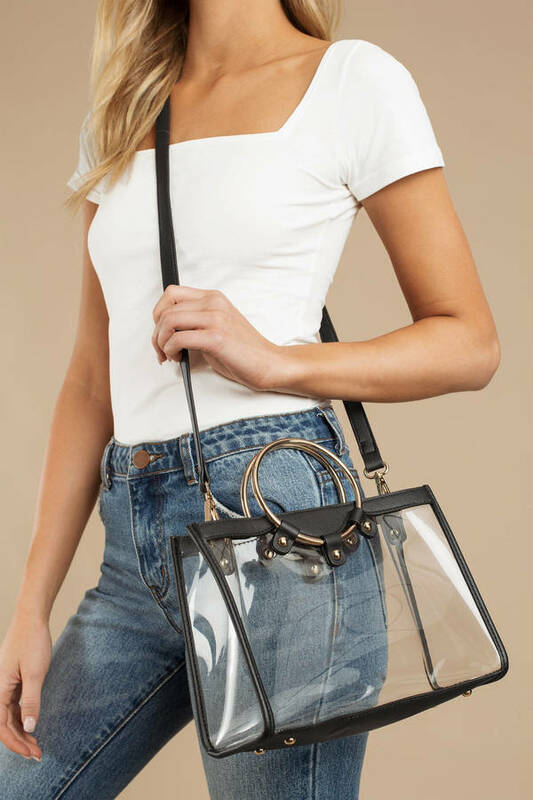 This clear crossbody bag features PVC, round carry handles, crossbody strap, and a flat bottom. 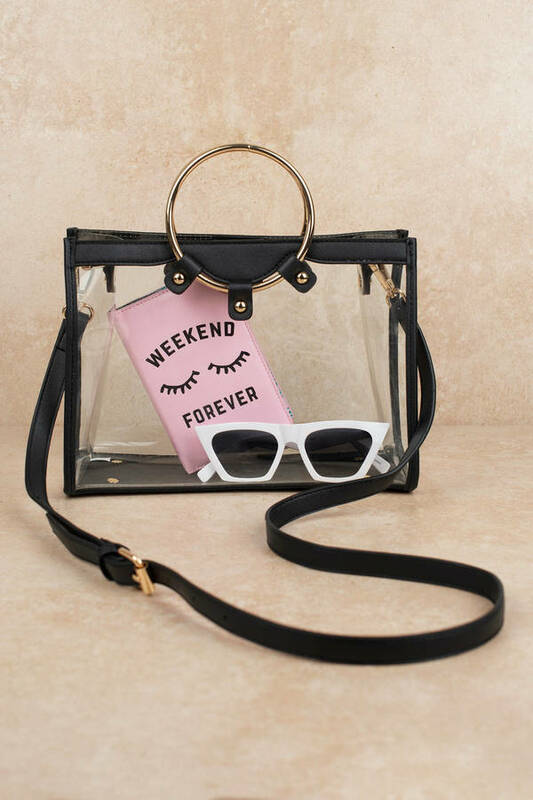 Take this trendy transparent handbag to the streets ASAP! Show off your goods with the Harlow Black Transparent Satchel. This clear crossbody bag features PVC, round carry handles, crossbody strap, and a flat bottom. 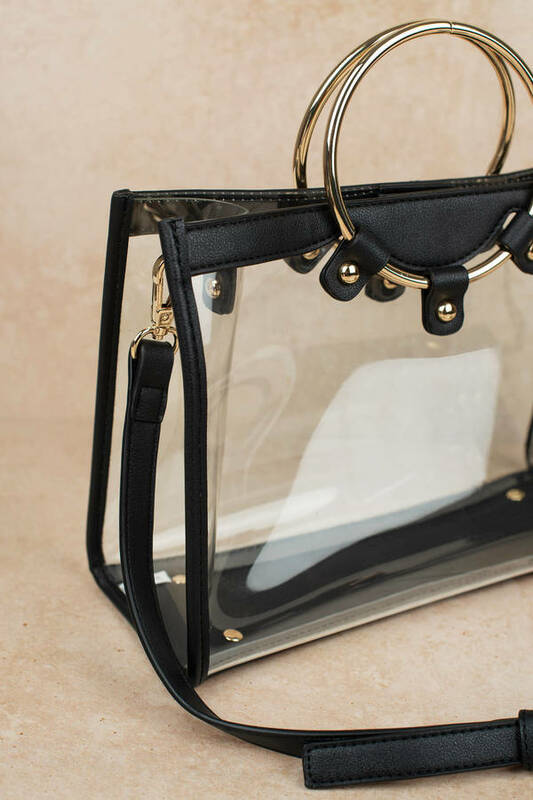 Take this trendy transparent handbag to the streets ASAP!